About the Company: “Coincidentally, along the road somewhere, each of them experienced a health related event that would have a significant impact on their life. For Howard, Losing over a hundred pounds led to a renewed focus on eating as healthy and nutritionally conscious as possible. For Torie, it was the onset of severe food allergies that forced her to make serious changes in her life and in her diet. With a new dedication to nutrition in their lives and the relative lack of healthy, indulgent snacks on the market, it became apparent that the time was right to fulfill their dream of starting their own snack food company. And so Torie & Howard was born, out of a mutual love of delicious and all natural foods that soothe the soul and nourish the body. 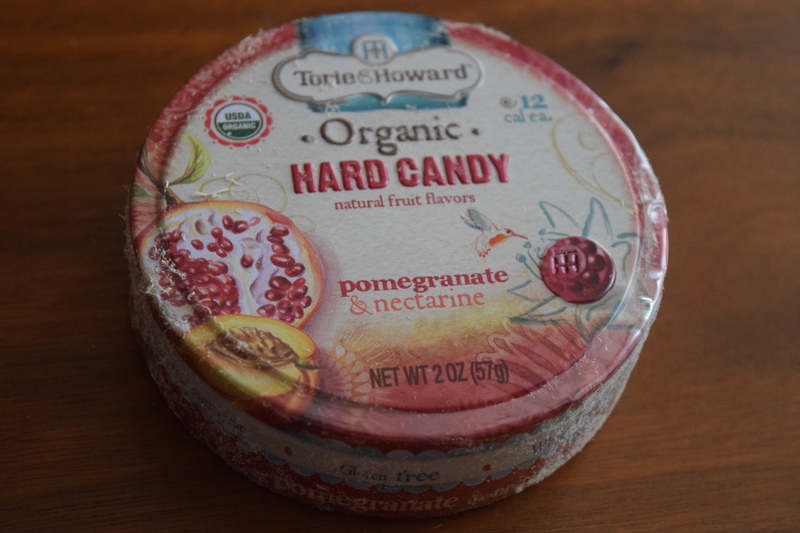 These hard candies definitely have a fresh fruit taste, unlike so many that have a chemical or overly processed flavor. The tin is lovely as well and is nice to keep in your bag or car when you need a little pick me up. Once upon a time, long, long ago, Lisa attended Syracuse University where she studied singing in a giant castle surrounded by ice and snow. After she earned her music degree, she headed to the island of Manhattan, down to the West Village, to a place called the New School. There, she earned another degree in the great art of writing stories for children. She currently works on that same island, in the dungeon of an old building, making up stories while she sorts through endless stacks of papers, just dreaming of working somewhere with windows. She is currently working on several novels and hopes to write her way to that aforementioned windowed place. Her first book, “The Ice Maiden’s Tale,” a fairy tale adventure was released on May 30, 2017 and is up for sale on Amazon. In the meantime, she keeps herself occupied by obsessing over subscription boxes and home renovations.